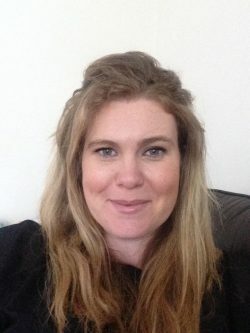 Ellen Hedstrom is an SCDTP-funded student doing a PhD in psychology at the University of Southampton, and is part of the Population Change, Health and Wellbeing Thematic Cluster Pathway. Her PhD will examine resilience and vulnerability in displaced children, with a focus on parenting. Other research interest include neuropsychiatric disorders in children. Ellen is one of the editors of the SCDTP blog. ‘I don’t think there is anything darker than doing a PhD’. So screamed the headline of the Irish Times on the 5th December as I was writing this blog about postgraduate studies and wellbeing. At 9 weeks into my own PhD, the evidence so far is not encouraging. Long hours, lack of support, isolated working environment, mounting pressure and an uncertain future in the job market are all terms familiar to those undertaking the PhD journey. This isn’t just scaremongering, in a recent study on academic working conditions and mental health, the authors found that one in two PhD students experience psychological distress and that one in three is at risk of a common psychiatric disorder. Pressure and worry around the PhD can lead to insomnia and depression which in turn can lead to more worry and stress. So how can we, as PhD students, ensure that we stay as healthy as possible? Work environment, a supportive cohort and a positive relationship with your supervisors can help enormously. There are also many ways in which a PhD student can get involved in creating a safety network to ensure support when times get tough. At Southampton University, as well as at Portsmouth and Brighton Universities, there is a PGR conversation group which is a safe place for students to meet with other students and talk. Closer to home, the SCDTP are running a residential next spring with the topic based around wellbeing and positivity in the PhD environment. Coffee mornings and events offered by the SCDTP usually yield hot beverages and biscuits (sometimes even lunch) and a chance to meet other postgraduate students and get away from your desk. In addition, as students we have a wealth of people and services providing support and extracurricular activities. A quick glance at your university student pages (in Southampton it is Sussed; in Portsmouth it is MyPort; in Brighton it is My Student Life)) should give you a sense of everything on offer to keep a healthy mind and body, from Mindfulness, to Yoga, to music events and hobbies. Support groups and pastoral care can also be found here. In my field of psychology we often talk about risk and protective factors. A 2013 study looked at the risk factors contributing to stress in MSc students. They suggested that adequate sleep and taking regular time off could protect against elevated levels of stress. In addition learning to manage feelings of stress and worry were important. Onus was also on the education provider to regularly remind students of the support services available. In light of sleep and time off helping to reduce stress symptoms in students, Christmas could be perfect time to take a proper break and focus on something completely different from your research. Whilst a lot of the negative aspects of completing postgraduate studies focuses on isolated working conditions and a demanding workload, the reality doesn’t have to look like this. As a PhD student you are guaranteed your own workspace, usually in a shared office, which should form both a support network (my shared office has a never ending supply of biscuits) as well as a place to socialise. As a member of the SCDTP there is support both from the doctoral partnership as well as from all three Universities. At this year’s Vitae Researcher Development International Conference 2017, one area of focus was on health and wellbeing. The full presentation can be found here (log in may be required) but amongst other things, the study found that having a good work-life balance correlated highly with the overall PGR experience. The most recent PGR report from the University of Southampton promises to continue to look at health and wellbeing as a theme, after successful workshops were delivered last summer. Thankfully it is not all doom and gloom. A Finish study found a positive correlation between students who found the scholarly community a source of empowerment and higher scores in self-reported wellbeing. It is important to remember that your topic of research is unique to you and that you are making a difference in the field of research. Don’t forget to read the first SCDTP blog by SCDTP director Pauline Leonard for some extra words of wisdom and encouragement. Day 6… ice ice baby!